Coco OCo: happy birthday to me! it's my birthday!!!! i'll probably take a lot of pictures tonight so there should be a good post coming up soon! 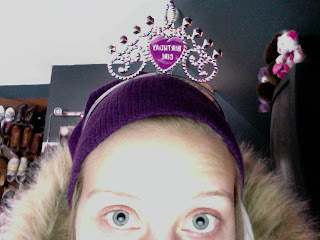 i'll leave you with this terrific picture of my birthday tiara. haha. Happy Bday! I love your banner, it's adoreable!